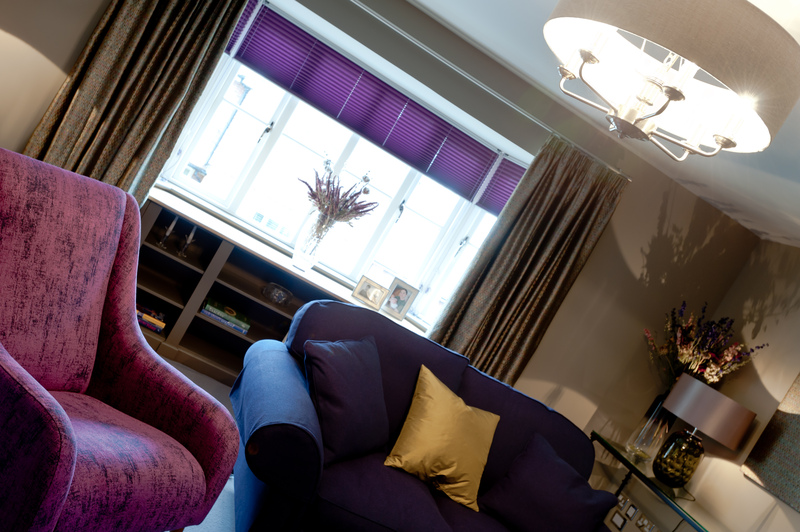 Wendy and Tim asked us to create a calm and comfortable lounge that made the most of the beautiful views out of the window, that was well designed but not too formal and full of character to go with their well chosen furniture. The colour scheme for Wendy and Tim’s lounge came in our very first meeting. 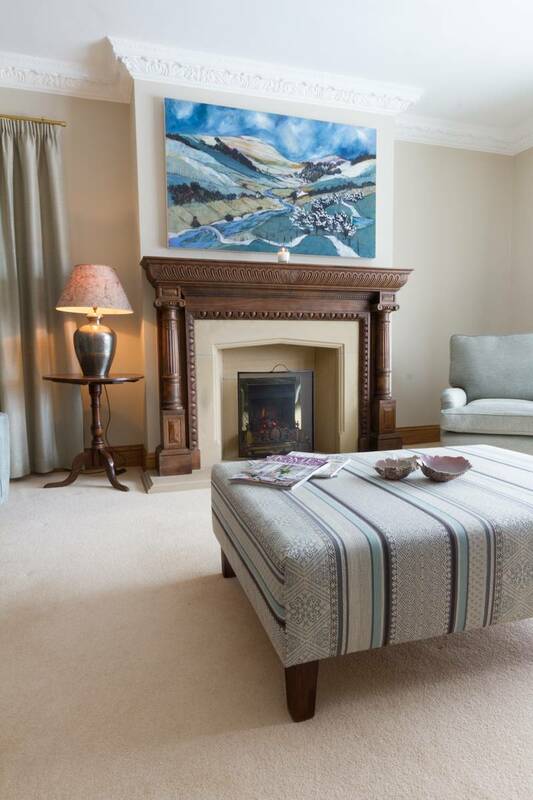 Wendy had spotted some gorgeous Sanderson fabric, liked the different tones of blue in it, and having commissioned a picture for over the fire in the same colours wondered if it would all work together. So we set about making it happen. We designed the room so that all of the colour is in the upholstery – intentionally bringing the seating area in from the edges of the room so as to make the large space feel smaller and more cosy. 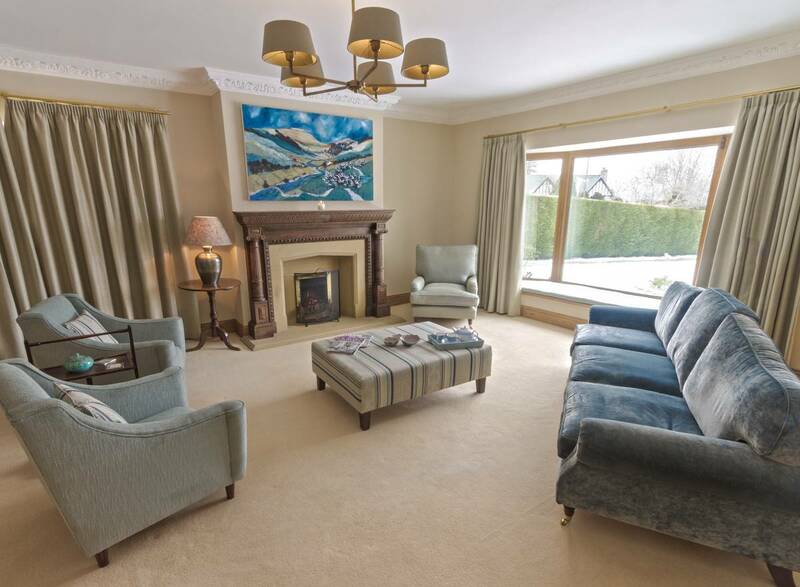 Layers of blue velvet, chenille and textured fabrics all work together to create warmth and add lots of different colours to the room, all set off by the footstool as a centre piece covered in the Sanderson fabric we started the scheme with! It was really important that the views from the window were framed and not distracted from and so the curtains had to do just that. 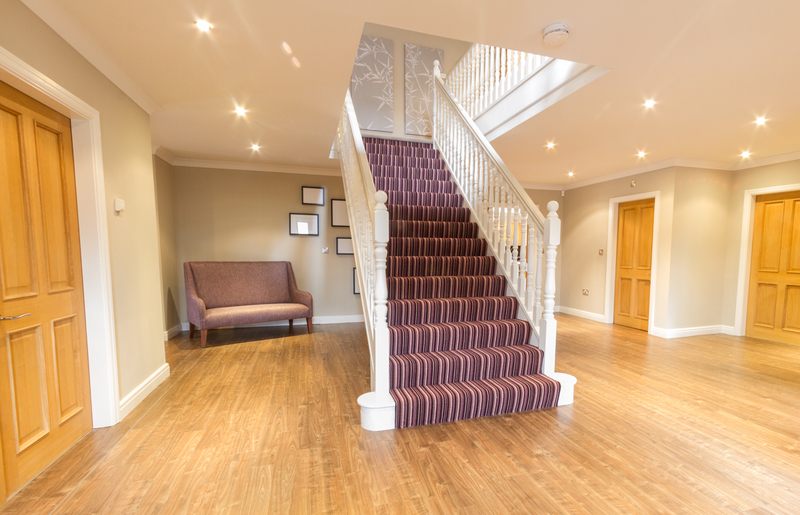 Keeping these neutral, we used a beautiful fabric from Zoffany which worked perfectly with the gorgeous paint tones. 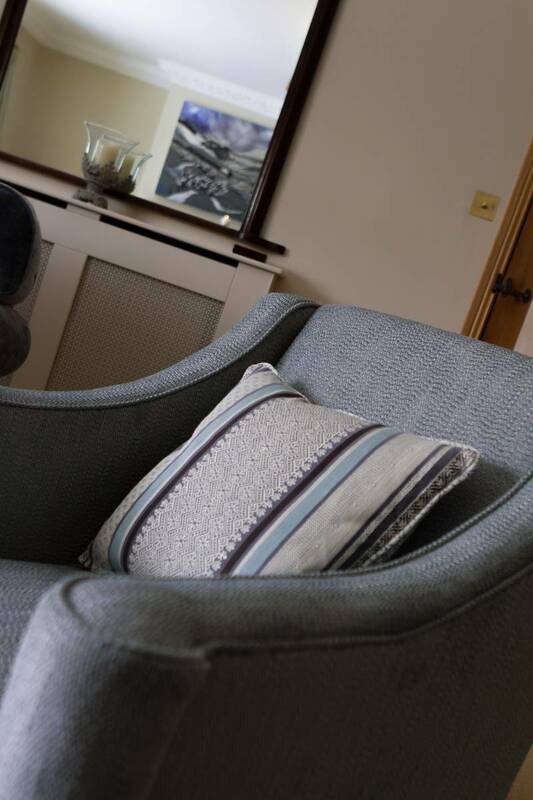 The weave of the fabric also incorporated light blue which coordinated brilliantly with the upholstery. To really make the most out of the view, the large window at the front was just begging for a window seat! We made sure that every single piece was well designed – from the stunning curve back sofa, to these wonderfully comfy armchairs and then a good ‘sink in to’ reading chair, every piece was chosen to fulfil it’s task. All of this was set off by the stunning, yet very simple, ceiling light. The diffused light through the lampshades create a much warmer glow which is far nicer on an evening than bare chandelier bulbs. The pictures shows the reduce in glare brilliantly! And although the room wasn’t used before Wendy asked us for help, the difference the right paint colour and even depth of curtain poles can have on a room really is evident in the before and afters!